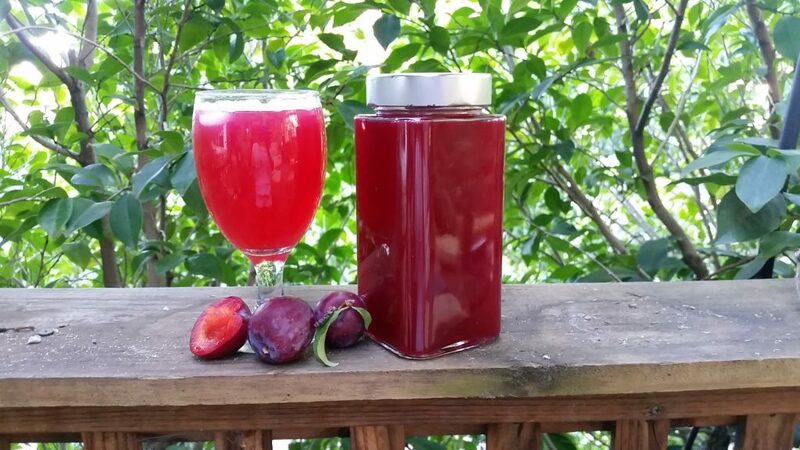 Easy peasy nourishing cordial which is healthy and delicious for your whole family. That’s what I like to hear! Summertime is definitely here and with all the delicious stone fruits, ripe and juicy from the orchards in the hills, I have just purchased 2 kgs of plums which are ready to create delicious treats with! Instead of the usual plum jam, I thought it would be interesting to try something a little different. I also felt that this recipe would work really well with mums and bubs who are looking for healthier options than shop-bought cordial. This spiced, sweet delicious ‘syrup’ is made with 30 full plums, cinnamon, clove, cardamom, vanilla pods and raw honey. What’s not to love about it? The colour is incredible! I personally used lightly sparkling water instead of still, it’s so refreshing! So easy to prepare, this cordial is a ‘one-pot-leave-alone-kinda-deal’, strain and enjoy! Pop your whole plums and spices in a big saucepan and cover with the boiling water. Bring to the boil and let it gently simmer for about 45 mins until all the plums have broken down. Give it a stir every now and again and leave it to cool. Once cooled, you can strain your mixture through a cheesecloth or sieve (I prefer the cheesecloth as it just feels easier). Once you have done that, you can add the honey to sweeten the deal to your preferred level of sweetness. This is so yummy, sweet and tart with all the good stuff in-between!